I’m all about wall art this week because I search for cool solutions for my own living space. 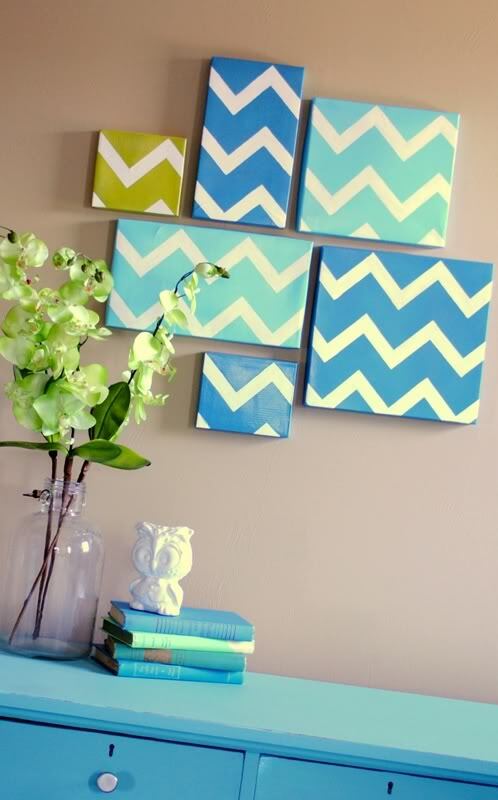 Here is one of my latest findings showing how to make a modern wall art of shoeboxes. Everybody has them gathering dust at their homes so it sounds like a nice idea, right? Download a chevron pattern from Sunset Magazine. Cover shoe boxes with white premier and when they are dried trace the pattern on the boxes and use painters tape to mask it. 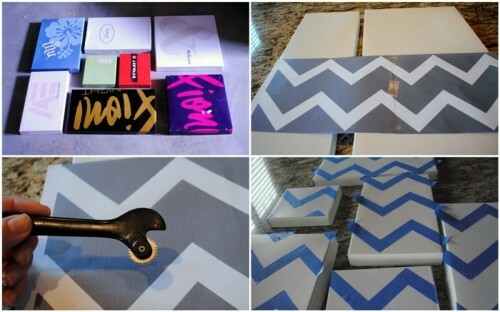 Paint the boxes with your favorite color, remove the tape and enjoy your work.